A wireless keyboard for your iPad, Android Tablet, smartphone, or computer. Connects via Bluetooth. Item includes: Keyboard, 2xAA batteries. 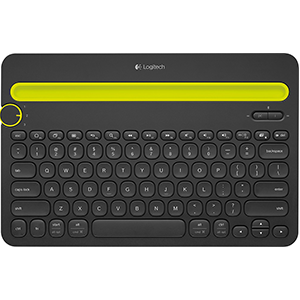 There are Logitech K480 Bluetooth Keyboards available for checkout.